1. 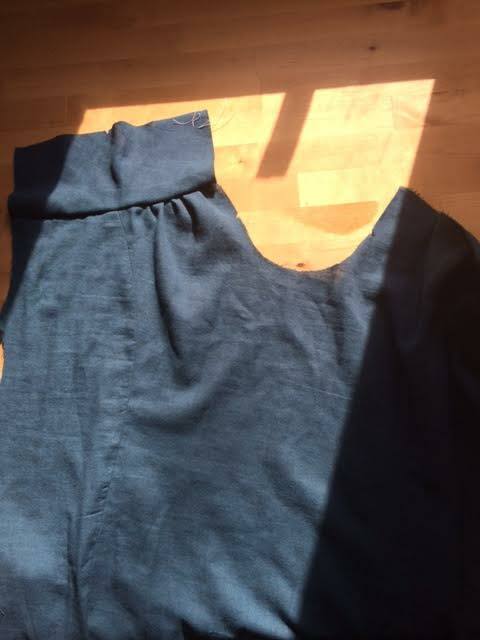 After spending so much time on those unwearable culottes (part of the problem, I realized later, is that I sewed one of the pockets in backwards. Fixing it would mean taking so much apart though that I don’t think I’m going to bother; I don’t think they’d be much better after) it’s been hard to work up a lot of excitement about sewing. This is especially true since I don’t have a lot of time to sew. I use our little office/soap storage room to do it and that only gets sunlight first thing in the morning. I should probably invest in a couple of lamps so I can be in there in the evenings, but until then, I only have what little time I can fit in before work or on the weekends. I decided that the next project I wanted to tackle is this terrific dress, another one from Liesl. This is one of her Lisette patterns that she publishes with Butterick and the terse directions and complicated cutting layout and basically everything about it makes me really miss working with indie patterns, but I love the dress and want to to wear it and will persevere. I had initially wanted to do the sewalong with her (how gorgeous is her hand-dyed silk fabric? ), but underestimated how much time it was going to take to cut out the pieces, so I’m behind. It’s helpful to have the write-ups to refer to though. I’m using double gauze that I bought from Fancy Tiger Crafts. I initially had ordered a blue-gray, but they sold out of it before my order was processed and I substituted this indigo color instead. It’s a really gorgeous shade, a very green-toned light navy that absolutely no thread matches. 2. Speaking of Fancy Tiger, visting their site is dangerous. 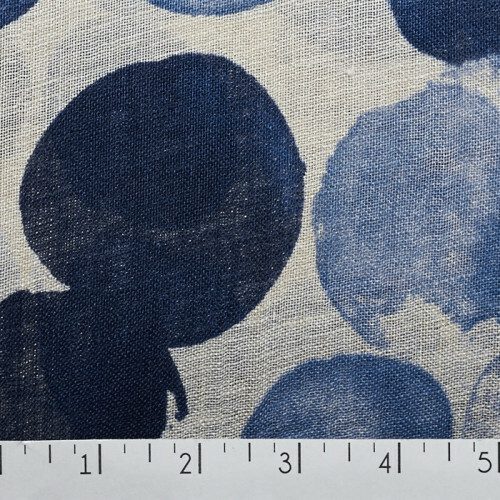 How gorgeous is this linen gauze? It reminds me of the work of one of my favorite lettering designers, Eva Black, who’s started selling paintings recently. 3. This site superimposes a map of New York City over maps of other cities. It’s pretty interesting to compare, especially since they also provide population numbers. 4.Emma Thompson interviews Hugh Laurie, wins hearts.